When I finished the Virgin Suicides, I gave it 4 stars. I liked it, but I didn’t love it. I thought the writing was beautifully done, and the story was too dark for my over sensitive heart. That was a couple nights ago. Now, I’d give it 5 stars. I can’t stop thinking of the Lisbon sisters. I know it’s fiction, but Jeffrey Eugenides makes me forget this. Maybe because I’m familiar with the atypical depression teens faced, or maybe because it was the mystery that a young woman would take her life, it’s so real for me. It’s like the story is haunting me. I can’t stop thinking of Lux’s halter top, I can’t stop thinking of Cecilia and her bracelets over the bandages. Or how the suicides of the sisters affected the economic state of their neighborhood. Or how poor Trip and the women he bedded down to replace what he was missing in his heart from Lux. Even Eugenides detailed description of the dead grass during the Fall on the Lisbon’s lawn I can’t get out of my head. Being a writer, having a writer in my family and being married to a writer, I know words can be used as an emotion. Eugenides’ words flow so well in the book, I forget I’m reading, and he’s describing my emotions, my curiosity, my sadness, my confusion. This isn’t real life; I never met any of the Lisbon sisters but I mourned their death just like the coroner did. When I read about the plot, it was silly. Pretty girls with problems, I've read a ton of books like this. I was over it before I began reading it. It sounded boring and I assumed it was overwritten. How can suicide be glamorous? Eugenides doesn’t glamorize suicide. At the end of the book, suicide is grotesque as are the Lisbon sisters. Whether it was because they were beautiful or rarely seen, the idea of them will always remain a mystery, more than them living. 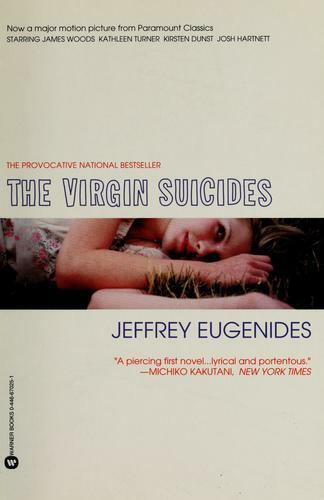 The Virigin Suicides by Jeffrey Eugenides is one of the two books for The Slow Readers Book Club.